To mark ten years of the Saif Ghobash Banipal Prize for Arabic Literary Translation (2006 to 2015) Omar Saif Ghobash and his family extend their sponsorship of the prize to the establishment of an annual Lecture. The Banipal Trust is pleased to announce the inaugural Lecture. In his lecture, Anton Shammas explores the hitherto concealed connections between Arabic learning and western literature and art. He asks why Cervantes would claim that Don Quixote, ‘the first great novel of world literature’ was a history translated from Arabic, paying tribute to the vanished Muslim population of Spain; how the foundational Optics of 11th-century Cairo mathematician Ibn Al-Haytham ignited the Renaissance when translated into Latin and Italian; and considers the often unconscious transcribing of these influences into the work of later artists and writers, including Velazquez, Picasso and William Faulkner. 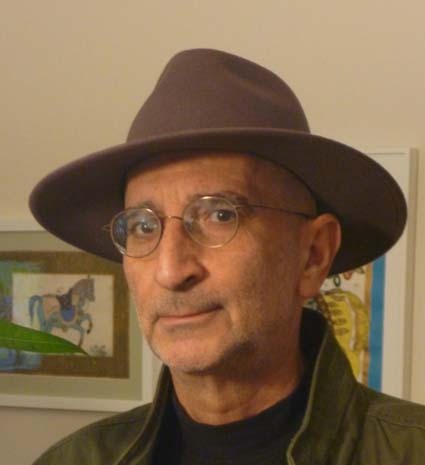 Anton Shammas is a Palestinian author, essayist and translator who works in, and between Arabic, Hebrew and English. He has been, since 1997, a Professor of Arabic and Comparative Literature at the University of Michigan, Ann Arbor. His novel Arabesques, written in Hebrew and published in 1986, has been translated into eight languages including English (1988), French, German, Spanish and Italian. He has written three plays and has three poetry collections, the first written in Arabic, the second and third in Hebrew. Among the playwrights and authors whose works he has translated are Dario Fo, Athol Fugard, Harold Pinter, Samuel Beckett, Edward Albee, Emile Habiby and Taha Muhammad Ali. He is currently working on a collection: Blind Spots and other essays on translation.